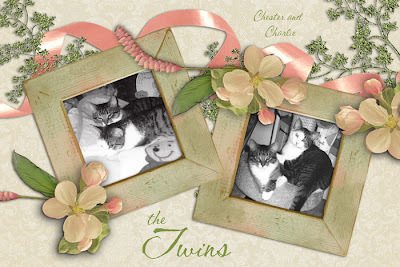 My dear friend Tami and I not only share the same neurological disorder (a very bad thing!) 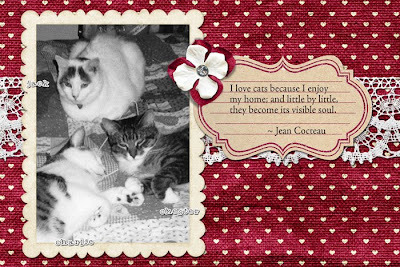 but a deep love for animals (a very good thing!) 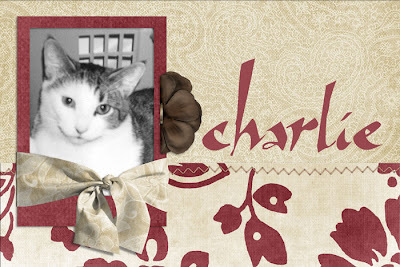 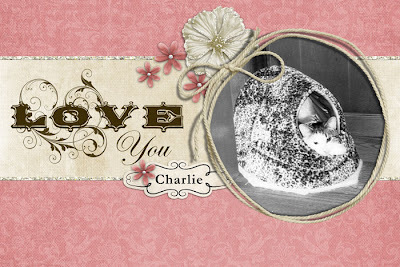 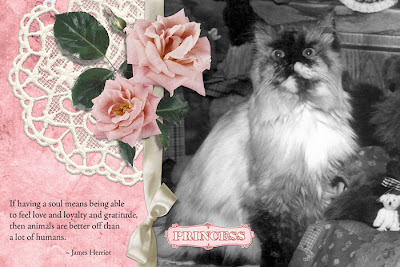 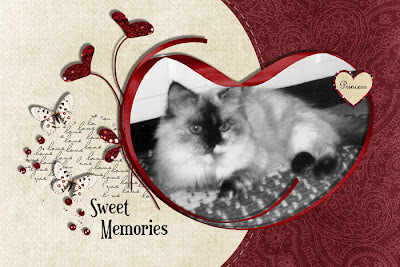 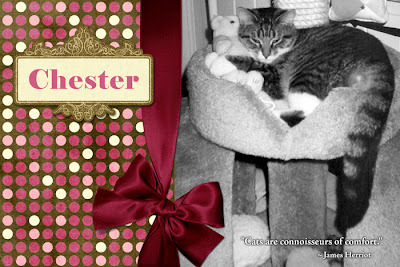 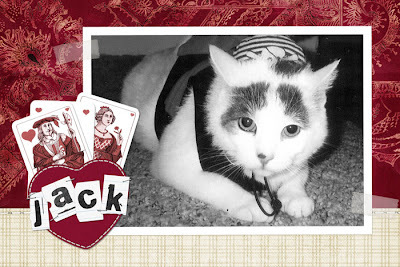 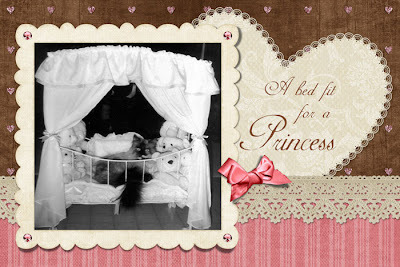 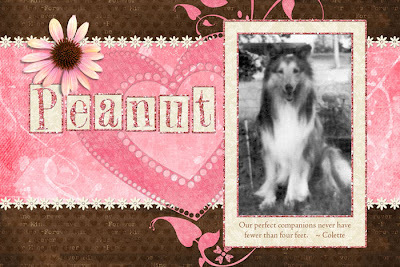 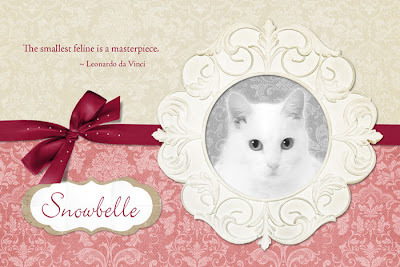 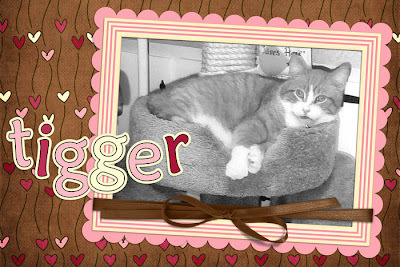 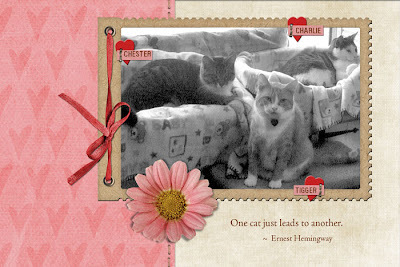 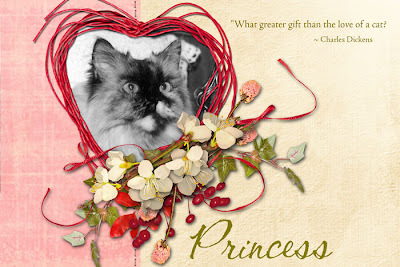 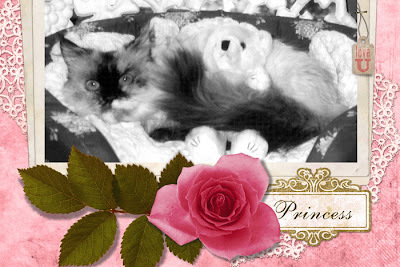 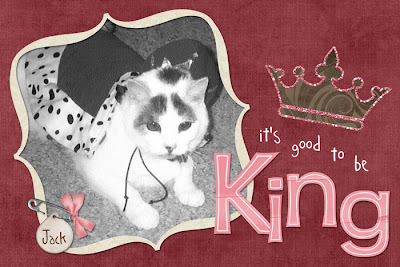 I have put together a little brag book featuring all of her beloved pets - past and present - for Valentine's Day. 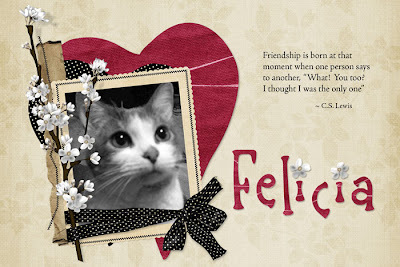 The last two pages have photos of my cats, Felicia and Cocoa. 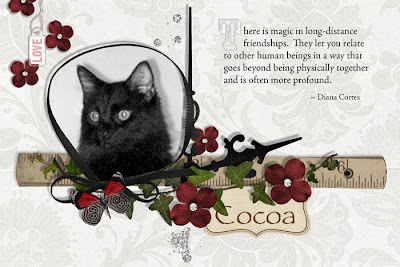 Most of the elements in these layouts came from a free colaboration kit called Forever Mine which can be found on The Blog Train Blog.